Ingrown hairs affect different parts of the body, and are not exclusive to areas we commonly shave (although there is always the heightened risk). For the most part, your best course of action is learning how to avoid the problem in the first place, but chances are you have stepped into the unknown and could do with some pointers on treating ingrown hair. It’s OK. It happens to the best of us, and Male Standard is here to help. Ingrown hairs can range from minor irritations, which grow out and correct themselves, to the horribly awkward and sometimes painful inflamed ingrown hairs. How long you leave the hair unattended is going to factor into the recovery time; while awkward, this is not a complaint you want to leave to good luck, as the risk of infection (and escalation) can be rapid. While there are some pretty nasty photos up ahead, try to keep focused. The majority of ingrown hairs can be treated at home, without a doctor’s assistance. We will let you know when medical intervention is best (you can go at any time for advice). 1. What Is An Ingrown Hair? Essentially, this is an ‘inward growing’ hair. A red, angry rash can identify most ingrown hairs. The area around the hair may be swollen, or even painful to the touch (depending on the severity), but most are aptly named and look as if the hair is growing back into the skin. The hair may be inside or out of the top layer of skin, but either way you will know often just by looking. If the redness is restricted (or you have shaved recently), treating at home is possible. As you can see, the area is red and inflamed, and the translucent sections on the hair indicate they are growing under the surface. This can cause problems. 2. What Happens If They Are Infected? If an ingrown hair is not removed or treated (or looked after correctly) then the risk of infection increases. Infection can range from Staph, which is a bacterium-based disease, which creates the extreme looking craters (as shown below), to cysts, which may result in the need for surgical removal. If you suspect that the ingrown hair is infected (the area becomes excessively inflamed, or your pain increases it is advised to speak with a doctor immediately). As Staph bacteria forms an open wound, your chances of further infection and complication rise dramatically. If you notice the skin opening, medical attention is required immediately. Whether you get them after shaving, or on your face, back, thighs or arms will vary from person to person. What you can do is work out what is causing the ingrown hairs, and aim to treat the hairs plus the source for effective results. Invest in a skin care routine, and learn how to shave correctly, to reduce the risk of ingrown or infecting hairs. Shaved hairs often have a sharp slant cut into them, which is ideal for growing back into the skin. Those who have thick, coarse, or curly hair are at a higher risk as ingrown hairs can also occur without shaving (where hair naturally grows back on itself), knowing how to identify and treat this common complaint can save you a lot of hardship. If you begin to see redness and irritation you can start treatment by cleansing the area (preferably with antibacterial gels), and keep an eye for progress. 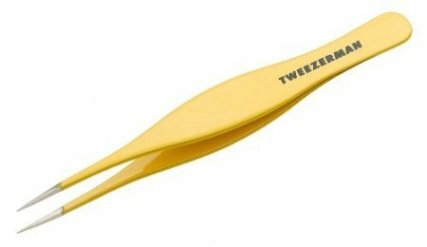 Use a pair of tweezers to see if you can graze the top layer of skin, releasing the ingrown hair from the inside. For most cases, this is all the intervention that is required. If the hair is stubborn and you are willing to continue, you can also use a sanitized scalpel to cut the top layer of the skin (though it is recommended you discuss this with a doctor first), for the same effect. If you use a scalpel, then due diligence is even more urgent as you have a small cut. You can also take some OTC pain medication before carrying this out if you think that it merits additional help. Consider using tea tree oil, which is a natural antiseptic to cleanse the areas after showering or shaving, and avoid baths during this time. 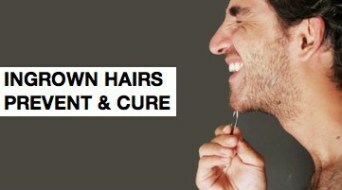 You should also wait for the hair to grow back in a little before shaving again if you have suffered from ingrown hair. This will give the skin and hair time to recover, and prevent the risk of infection. Add tea tree oil to a carrier oil (such as Jojoba oil, or Almond oil), or dilute with distilled water and apply a few drops to the area twice a day as needed to relieve the inflammation. Another product you can use for a less invasive treatment, and as an after care preventative measure, is Tend Skin, which reduces the redness and swelling, and helps to alleviate ingrown hairs and razor rash. For More Top Tips On How To Tackle Embarrassing Grooming Problems At Home, Pick Up A Copy Of The Ultimate Guide To Grooming, With Over 101 Expert Techniques!